Kenya has 13,600 km2 of inland lakes and 640 km of coastline. About 95% of fish landings come from freshwater lakes, 3% from marine sources, and 1 % from aquaculture. 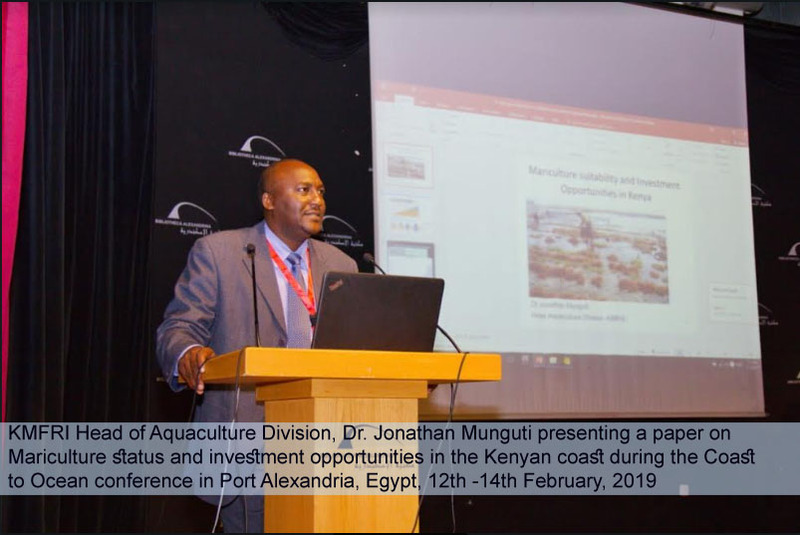 The main species caught in inland capture fisheries are Lates niloticus (Nile perch), Rastrineobola argentea (omena), Oreochromis niloticus (Nile tilapia), Cyprinus carpio (common carp) and Micropterus salmoides (black bass). The inland fisheries trends from 1950 to 2015 are shown below. 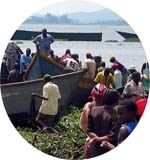 Lake Victoria supports the largest inland freshwater fishery on earth. The lake traverses the three East African Countries: Kenya, Uganda and Tanzania. It has a surface area of 68,000km2 shared between Kenya (6%), Uganda (43%) and Tanzania (51%). The Kenyan portion of the lake covers an area of 4128 km2. This portion produces the bulk (80%) of the country’s annual fish landings. 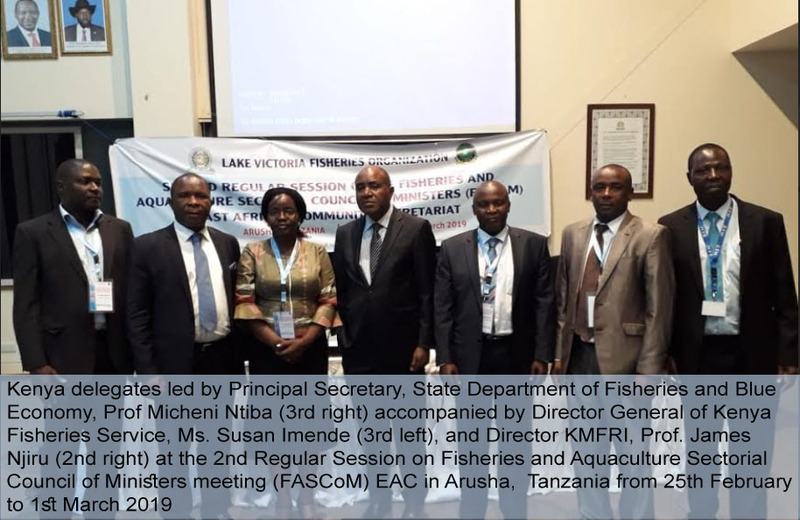 The main commercial species caught are Rastreonobola agentea (Omena/dagaa/mukene) 53.32%, Lates Niloticus (Nile Perch) 33.4% and Oreochromis niloticus (Tilapia) 4.31%. Fish stocks have dwindled due to heavy eutrophication, proliferation of invasive species, over-fishing and use of illegal/undersize gears. 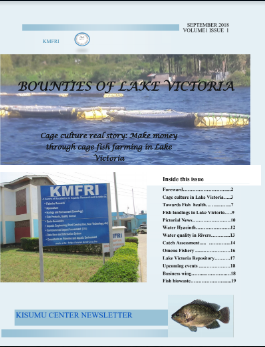 The most common areas of research in the lake are environmental, capture fisheries and fish farming (aquaculture and cage culture), social economics and ecological studies. Lake Turkana is the largest water body wholly in Kenya and the largest desert lake in the world. It’s located 2° 27´ - 4° 40´N and 35° 50´ - 36° 60´E on the floor of the northern end of Kenyan Great Rift Valley. The northern tip is located at the boundary of Kenya and Ethiopia. The lake has a surface area of 7,500 km2. Its fishery is dominated by Lates niloticus and Oreochromis niloticus. Other species of commercial importance are Labeo horie, Alestes spp, Distichodus niloticus, Citharinus spp, Bagrus spp and Hydrocynus forskahlii (tiger fish). The lake contributes around 6% of Kenya’s annual landings. Lake Turkana has experienced a downward trend in capture fisheries since 1976 due to over-fishing. Inshore stocks are dwindling while pelagic stocks are less exploited due to strong winds and lack of stable vessels to venture into deep seas. The most common research areas are in capture fisheries, socio-economics, primary/secondary production and ecological studies. 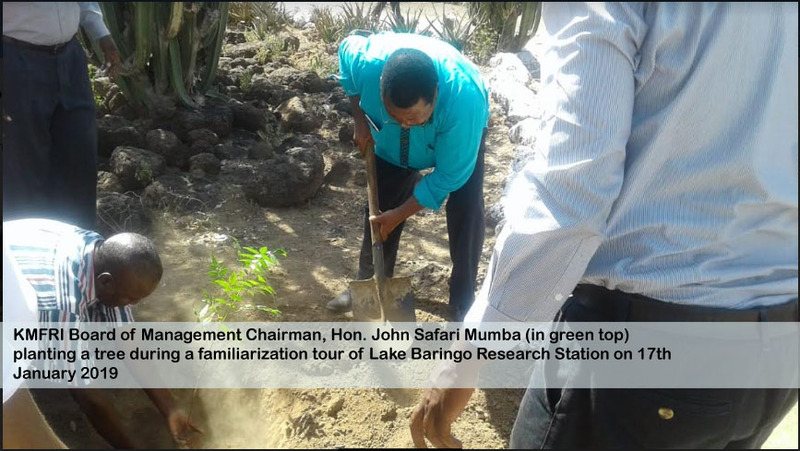 Lake Baringo is located 60 km north of the equator at 0°36´N and 36°04´E. It covers a surface area of 130 km2. The lake has four species of commercial importance; Protopterus aethiopicus, Barbus intermedius australis, Clarias gariepinus and O. niloticus baringoensis. Protopterus aethiopicus dominates the catch, though in the 80’s and 90’s, Oreochromis niloticus baringoensis used to dominate the catch. 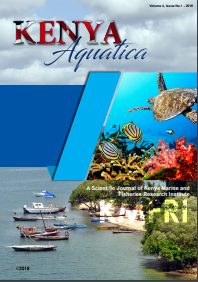 The most common areas of research are in capture fishery, environmental studies, socio-economics and to some extent aquaculture. Lake Naivasha is an ‘Urban’ lake located next to Naivasha town at 0° 46’S and 36° 20’E. Its surface area varies from 120km2 in the dry season to 150km2 in the wet season. 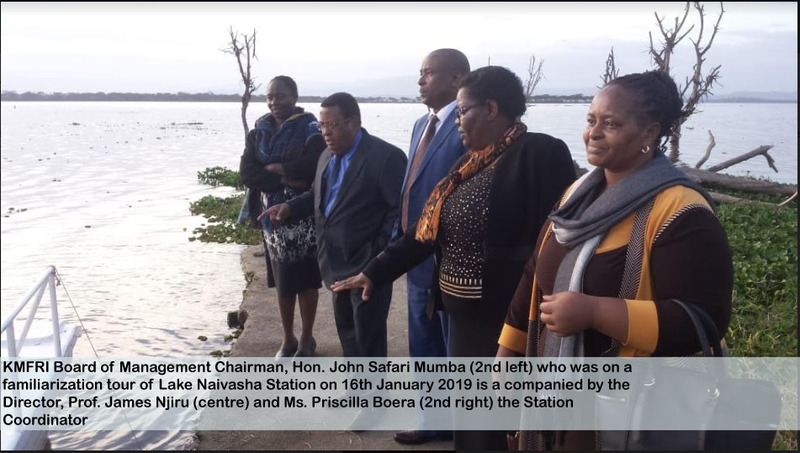 Its ecosystem comprises of the main lake and two other smaller but ecologically important lakes, Oloidien and Sonachi (Crater Lake). Lake Oloidien has an area of 2.5 km2 while Sonachi has an area of 0.5 km2. The lake is internationally recognized as a Ramsar site. Its entire fishery comprises of introduced species, Cyprinus carpio (L.), Oreochromis leucostictus, Orechromis niloticus, Tilapia zillii, Micropterus salmoides, Procambarus clarkii and Clarias species. Cyprinus carpio is the dominant species contributing 90% of the catch. The fishery has suffered from over-exploitation and species loss. The main areas of research are in capture fisheries, ecology, socio-economics and environmental studies. Lake Jipe is situated astride the Kenya-Tanzania border between 3035’ S and 370 45’E, near the northern Pare Mountains of Tanzania in Kilimanjaro region. It covers a surface area of about 30km2. 12km2 of the lake’s area belongs to Tanzania and 14km2 belong to Kenya. The lake’s fishery is dominated by Oreochromis esculentus (tilapia) and Clarias gariepinus. 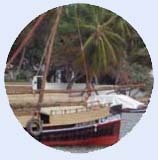 Lake Kenyatta is located in Lamu County at 2°24'45.0"S and 40°40'53.0"E,about 2.5 km south-west of Mpeketoni town and 50km from Lamu town. It has a surface area of 5km2. The catch from the lake is dominated by three species; tilapiines (47.2%), Clarias (27.2%) and Protopterus (25.6%). Kanyaboli is a satellite lake of Lake Victoria located in Siaya County at the north-eastern corner of the lake and covers an area of 15km2. It is part of the Yala swamp, which forms the mouth of Rivers Nzoia and Yala. The lake’s fishery is dominated by Oreochromis niloticus (54.5%), Clarias spp. (19.3%), Protopterus aethiopicus (18.5%), and Haplochromis (7.7%). Turkwel dam is situated in north-west Kenya at the border of Turkana and West Pokot Counties. It covers an area of 66 Km2. The dam’s fishery is dominated by two species; Oreochromis niloticus (93.9%) and Clarias spp. (6.1%). The Seven Forks dams are located around the Embu-Kitui border in Tana basin. The dams’ fishery is dominated by Cyprinus carpio (40.9%), Tilapia spp. (32.9%), and Clarias gariepinus (26.1%). The Tana River is about 950 km long and the longest river in Kenya. It originates from Mt. Kenya and the Aberdares Mountains. It enters the Indian Ocean at Kipini in Tana River County. The river’s fishery is dominated by three species; Tilapias, Clarias spp. and Protopterus spp. The Tana delta is the largest delta in Kenya with an area of 1300km2. 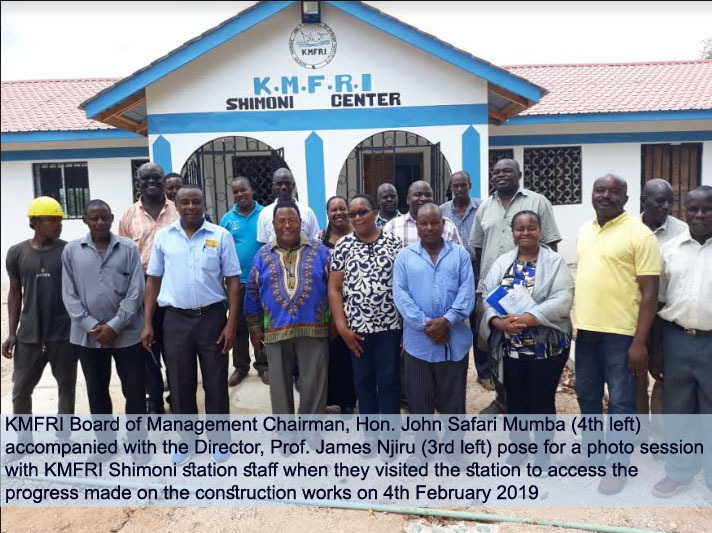 It’s located at Coast Province near Kipini and was gazetted as Kenya's 6th Ramsar Site. Its fishery is dominated by Clarias spp. (49.6%), Tilapiines (26.3%) and Protopterus spp. (24.1%). River Nzoia is 257 km long and the largest river draining into Lake Victoria from Kenya. It contributes 14.8% of the total influx from rivers flowing into the lake. The river originates from the easterly slopes of Mt Elgon and enters the lake at Port Victoria in Busia County. B. altianalis dominates the catch with a contribution of 87.08%. 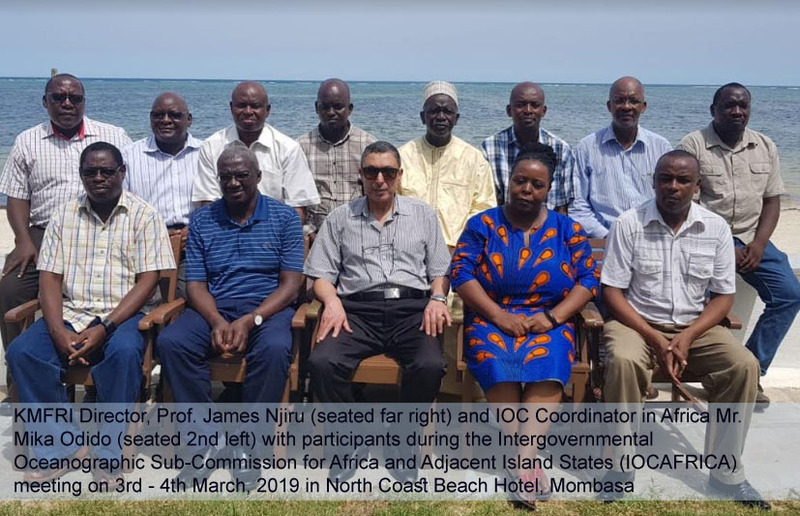 River Kuja originates from Nyamira County in the Kisii highlands and enters Lake Victoria near Wath Onger as River Migori-Kuja in Migori County. It’s about 143 km long. Its fishery is dominated by Barbus altianalis (40%), Barbus neumayeri (11.1%) and Labeo victorianus (10.6%). Sondu-Miriu River originates from the western slopes of Mau Escarpments and enters Lake Victoria via Osodo Bay. It’s about 133km long. The most dominant species in the river are: Barbus altianalis, Labeo victorianus, Clarias gariepinus, Schiebe mystus, Oreochromis leucostictus, Oreochromis variabilis, Tilapia rendalii, Lates niloticus and Clarias theodorei. 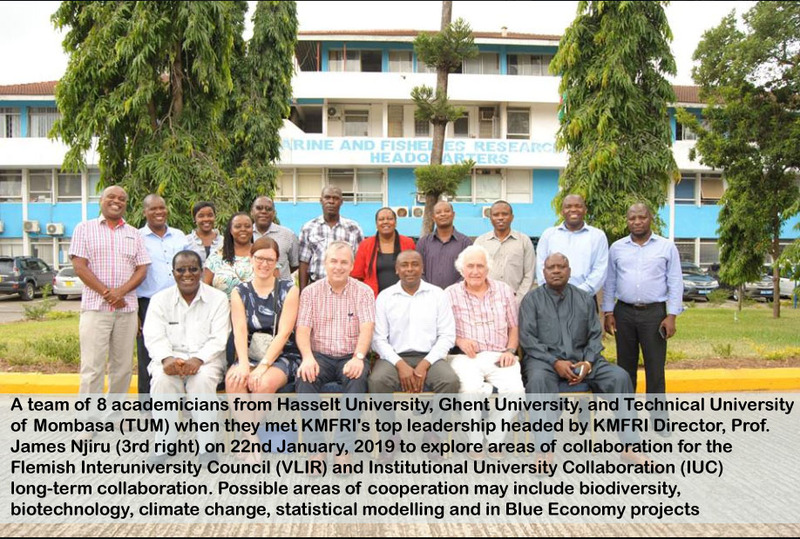 The Freshwater Fisheries is one of the core research departments for KMFRI. 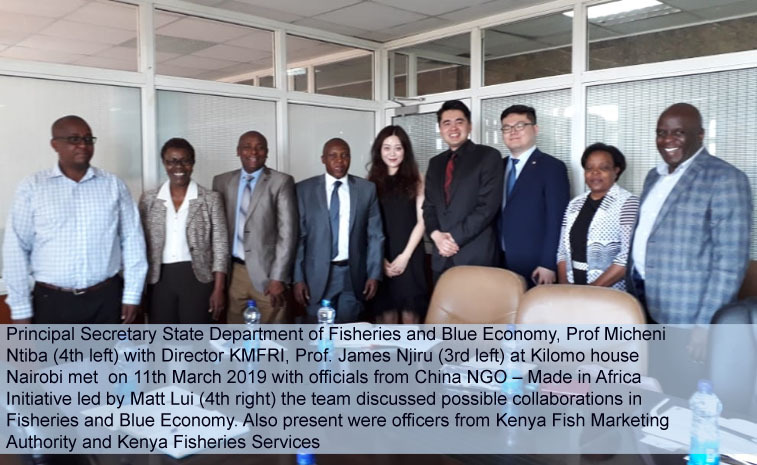 The overall goal of both departments is to provide competent scientific information and data on the sustainable management of freshwater fishery resources through ecosystem approach. 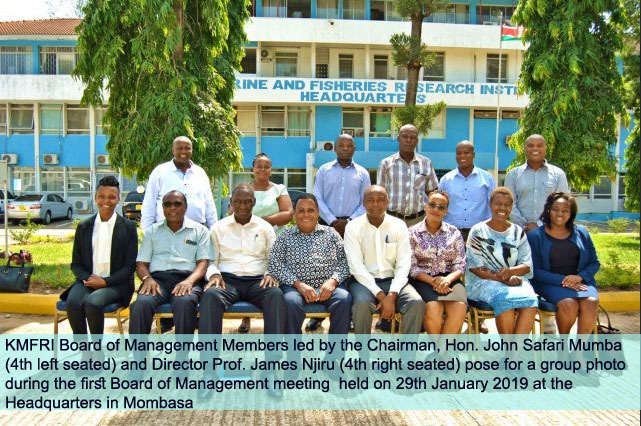 The Departments are responsible for inventorying and assessment of fish stocks: their spatial and temporal abundance and distribution, fish ecology and biology, and population dynamics. 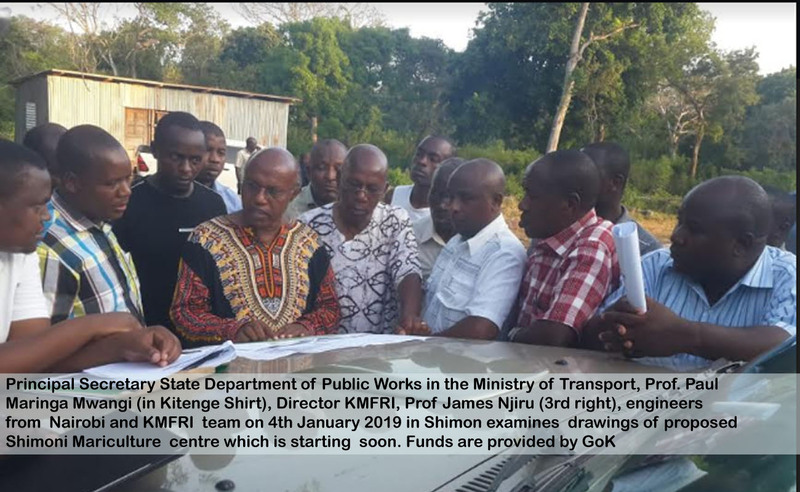 Post-harvest technology and value addition research is also undertaken by the two departments. 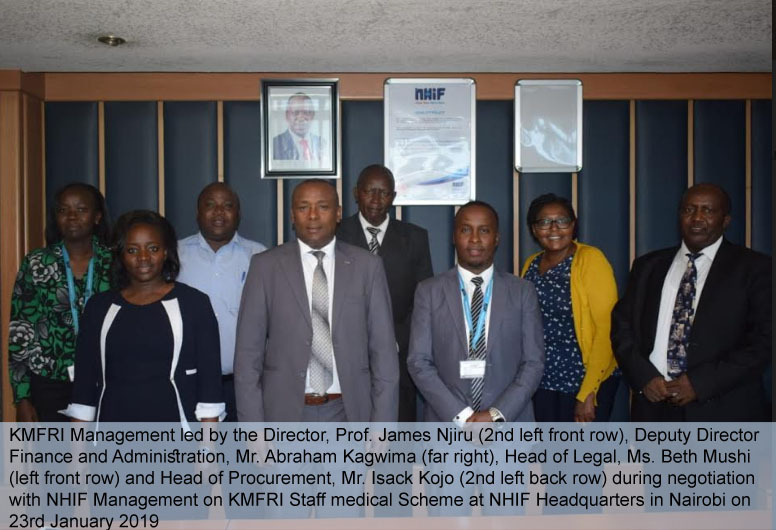 Post-harvest technology and value addition covers fish handling and processing and investigating and isolating active substances from aquatic plants and animals for medicinal and nutritional values. 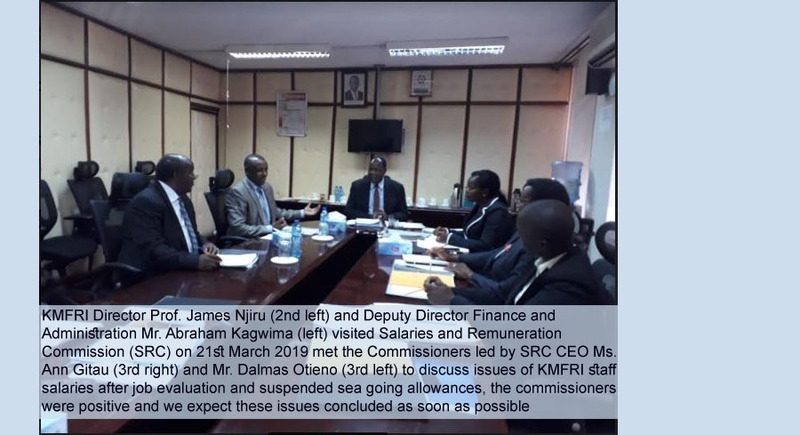 It also undertakes studies on fish safety and quality assurance. The Assistant Director in charge of Freshwater Systems is Dr. Christopher Aura. This department deals with the structure of inland aquatic ecosystems in relation to biodiversity in general and fisheries in particular. It also assess the interaction of various biological processes, lake morphometry, hydrology, state of heat, stratification, stability and nutrient dynamics. This Department cover all inland water systems by investigating biodiversity in these systems and also use landscape limnology in the conservation of aquatic biodiversity. 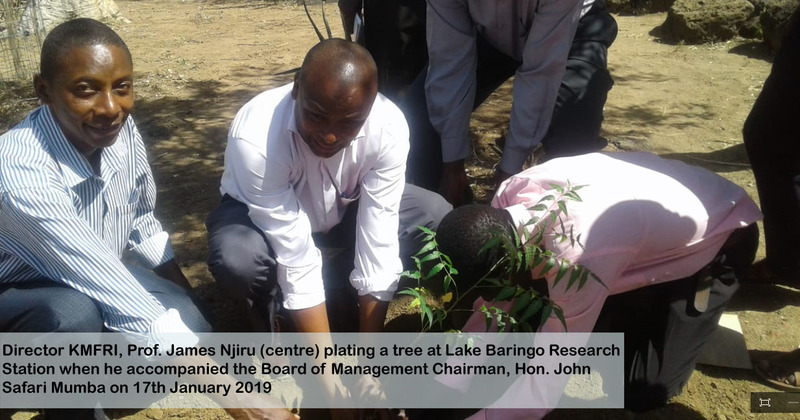 The Assistant Director in charge of Limnology department is Dr. Chrispine Nyamweya.